Gamocosm is like a home coffee machine. Or a toolkit so you can do your own repairs. Or courses posted online so everyone can learn. Gamocosm helps you host your own servers. Why pay 24/7 if you don't play 24/7? 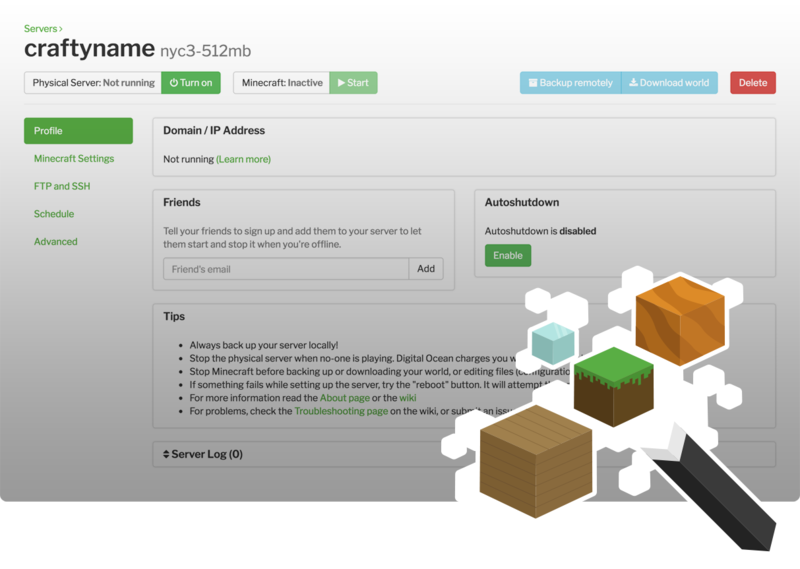 Gamocosm automates setting up Minecraft servers on DigitalOcean (*), an established cloud server provider. You only need to pay per hour, so Gamocosm users average just $0.50-$2 a month. Get your server running just the way you like it, then add your friends so they can play while you're away. See a demo of the control panel. You have full access to a Linux machine; you can install mods, additional software and even custom servers such as Cuberite, the performant C++ Minecraft server. Read more about the setup on the wiki. It costs nothing to use Gamocosm; no bills, no ads, no tracking user habits. The source code is well documented and available for everyone's inspection and contribution.